The Hotel Alghero Country Resort: an oasis of silence and stillness behind the sounds of celebration from the nearby tourist resort, Alghero. An enchanting place, a detail of the nature where you can think, relax, and play. 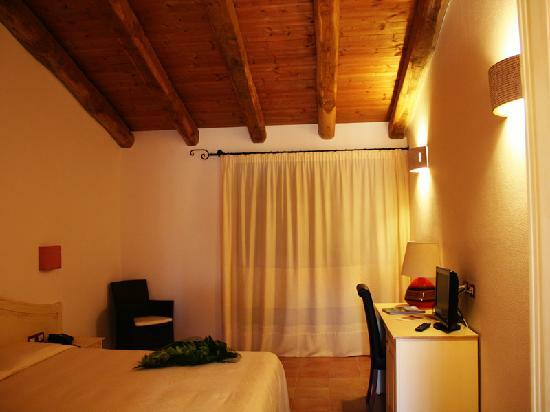 Alghero Resot Country Hotel is located in Alghero, in northwest Sardinia, the Catalan island of the ancient land of Sardinia, where the blue sea, green hills and year-round mild climate offer different types of totally relaxing holiday, in any season. The Hotel Alghero Resort Country Hotel is happy to welcome you to this splendid area, where tourism means a totally Mediterranean lifestyle. 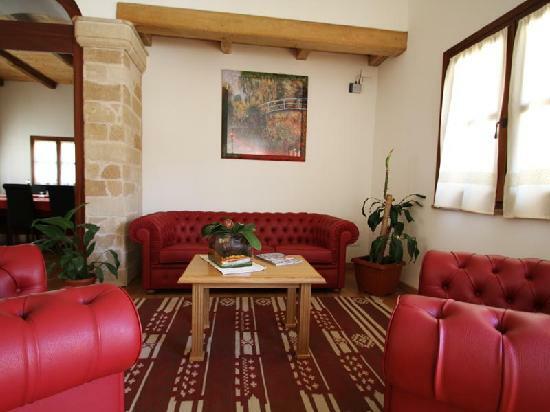 The Resort is an ancient dwelling constructed in the 18th century, and now completely renovated and designed contemporary revisiting of a place created for the welfare and of this form and expression. Tradition, style, hospitality and a characteristic feeling of friendship evoke the ancient spirit of the place. The Alghero Resort Hotel welcomes its guests in an elegant and spacious environments among the most authentic and perfect harmony with the colors of the Mediterranean vegetation. The recent renovation has given the Alghero hotel resort the most modern technology of air conditioning and soundproofing. Designed for the most varied needs the Alghero resort hotel is on two levels, attention to details, ceilings embellished by wooden beamed, the warm colors of the furnishings create an atmosphere of unique charm in the territory of Alghero. The hotel has 22 rooms located on ground floor (in courtyard) or the first floor (balcony) with separate entrance. Spacious and luminous, well furnished with care and equipped with every comfort and service of a high standard hotel. Alghero Resort Hotel offers different room types: Classic, Deluxe, Junior Suite, Suite. \"B\" & \"C\" euro 40 \"D\" euro 50 \"E\" euro 65. Free Baby-cot 0-2 years. Reductions in extra bed with 2 adults 50% Reductions from 12 years - Supplement half-board daily extra charge per person Euro 20,00 on request. 3rd and 4th bed available only in the deluxe rooms, junior suite and suite Rooms available for disables , hotel indicated for disables. - Pets: small pets are permitted on condition that they do not cause a disturbance and on a condition that they are kept away from the public areas. Euro 10,00 per day.